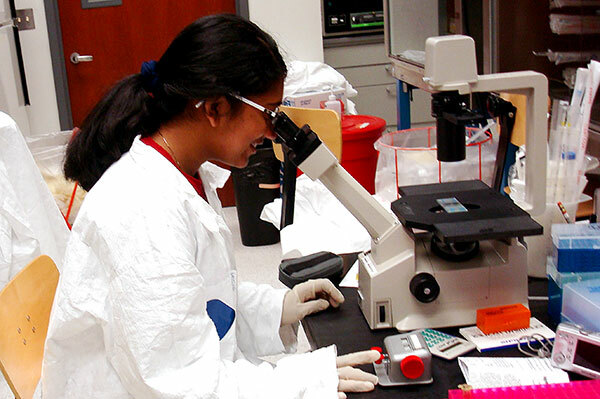 At Harker, we believe student research is an important part of our comprehensive academic program. 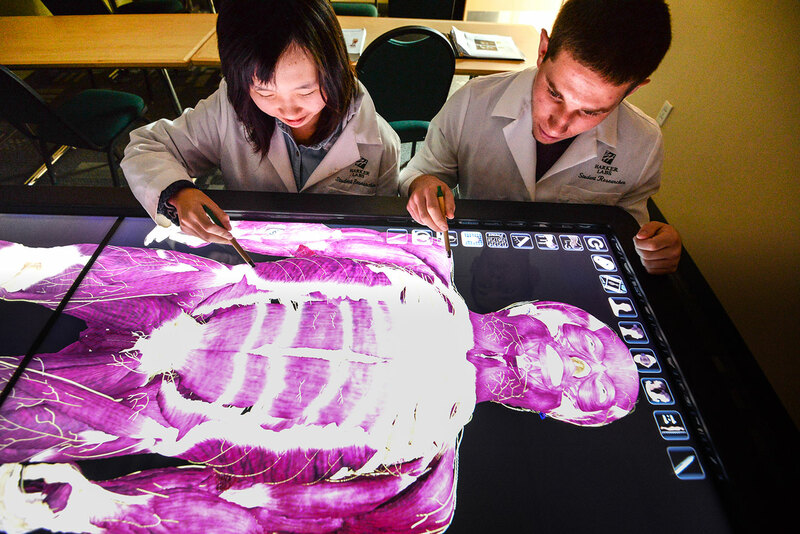 At Harker, we offer our students powerful research opportunities that inspire intellectual curiosity and creativity and support deep and meaningful learning. Beyond the research and study skills that our teachers integrate into students’ coursework, our robust research programs empower students to explore their interests and discover their passions. Research is integrated into Harker’s lower school curriculum as part of our Information Literacy program. Students in grade 1 language arts classes research animal homes, creating field guides and using props, role-playing and interviewing to share their findings. Grade 3 students research the Gold Rush and create digital “posters.” In middle school, students research themes in a novel (grade 6), the significance of religious sites in politics and conflict (grade 7), and genetics (grade 8). We also have four after-school classes for eighth graders, where students team up with teacher-mentors to learn how to do scientific research. These classes often culminate in projects that are entered in the Synopsys science fair. While research plays a role in our schools’ entire curriculum, when students reach the upper school they find incredible opportunities to do serious and original research in science and humanities. By their senior year, many of our students have impressive research experience to show in their college applications. Our humanities research program explores how humans use philosophy, literature, religion, art, music, history and language to understand and record our world. We have two endowments that support our students’ humanities research. 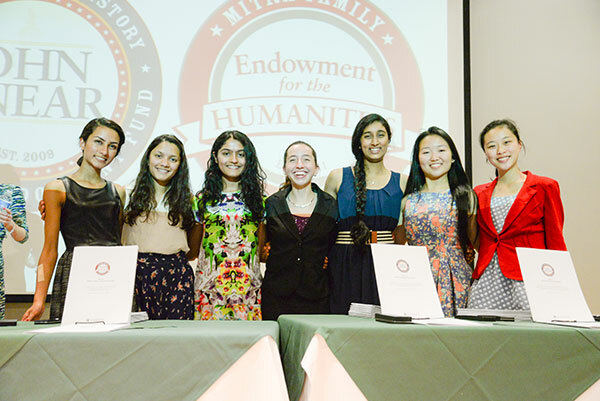 Learn more about our humanities endowments. 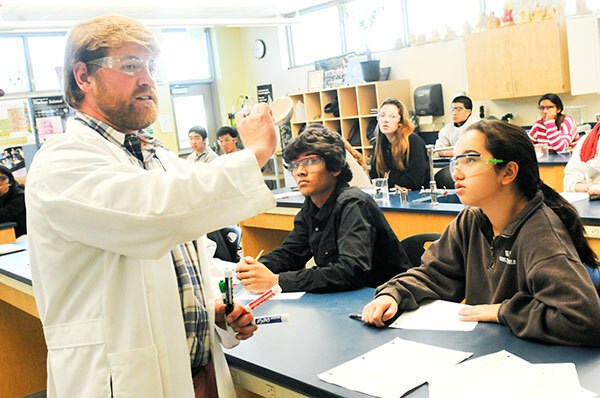 Harker’s science department motivates our students to pursue the wonder of science with research coursework, science clubs, open lab access and teacher mentorships. Learn more about upper school STEM. Our upper school students have opportunities to go on exciting international research trips to locations like Costa Rica, the Galapagos Islands and Antarctica. Our extensive library features robust resources including 84 research databases and countless fiction and non-fiction books available in print and online. We combine this with innovative instructional technology and highly qualified librarians to support our students’ research endeavors. Starting in the lower school and continuing through the middle and upper schools, we teach our students information literacy skills – knowing how to find, verify, use and cite information available in print and on the Web – to ready them for exciting research opportunities and projects. We encourage our upper school students to apply for science research summer internships both here at Harker and beyond campus at businesses and universities across the country. Harker Internships: Applications are available in March for summer internships with our science department. Interns integrate their experiences by presenting at the Harker Research Symposium. Non-Harker Internships: With many businesses and universities across the country offering science research summer internships to high school students, our students have experienced internships with programs like Simons Summer Research Program at SUNY Stony Brook, Research Science Institute at MIT and Stanford Institutes of Medicine Summer Research Program. We design our programs and offerings at Harker to inspire students to explore their passions, develop their strengths and share their talents with their classmates, teammates and the greater community. Our students are eager to make a difference, and we celebrate all of their accomplishments.